Our Cellar Door is open Saturday & Sunday from 10am to 4pm. Located at Denman in the beautiful Upper Hunter Valley, and boasting magnificent views,SMALL FOREST™ is the perfect location to relax and enjoy a glass of wine with cheese platter, or refreshing cup of tea with sweets at the Cellar Door. BYO lunch if you buy a glass or bottle of wine. Enjoy a rare opportunity to taste Sake with Atsuko, who is a Panel Chair Judge at The International Wine Challenge, Sake Division. This is a very informative introduction to the various styles and techniques used in making sake, showcasing some fine examples. It will come with food sampling for hint of food matching. In August, it’s scheduled on 18th and 19th. You will be tasting 4 sakes with food matching suggestion. Booking is essential, so please send email to info@smallforest.com.au for booking. The Gallery is located in the cellar door of Small Forest. The gallery features a new exhibition every 6 – 8 weeks. 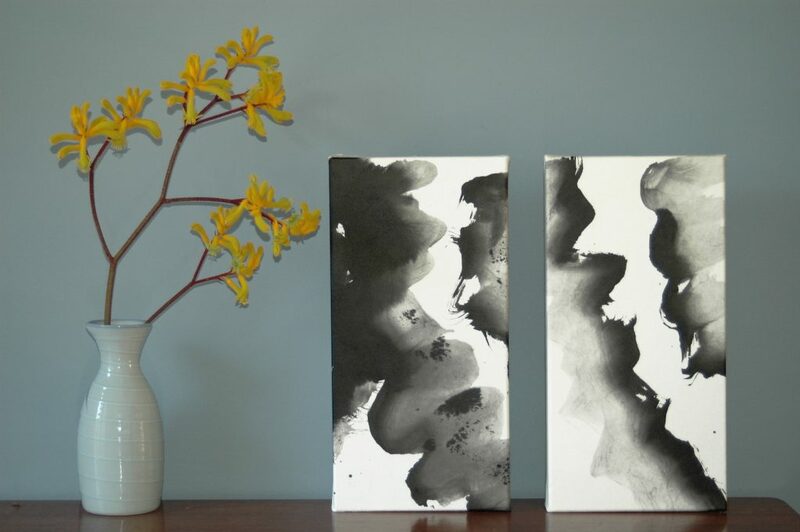 New exhibition is “Whispered Black” by Tomoko Oka who is a Japanese Calligrapher from 2nd February to31st March. She is coming on the 2nd, and will demonstrate a huge calligraphy from 1 pm. So, please come and have a look, enjoy witnessing how she dose it.